Fowey is home to a bustling high street where many thriving independent shops offer a wide range of interesting gifts and souvenirs. Cornwall is well known for its vibrant creative scene. St Ives and Penzance are a mecca for artists inspired by the breath-taking landscape; Fowey synonymous with some of the world’s favourite literature. 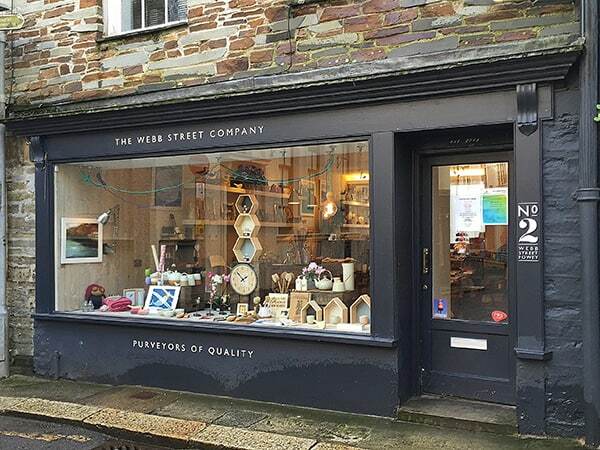 The independent shops in Fowey are a reflection of Cornwall’s creative culture, celebrating craft and design from the county and further afield. We’ve chosen a few of our favourite independents in the town from children’s gift shops to coast-inspired clothing boutiques. The attractive monochrome Webb Street Company shop front (above) provides an enticing window into the contemporary gifts and homeware within. Having perused their stylish range, it’s hard to leave the shop without an addition to your home. Founded in 2013, the The Webb Street Company demonstrates a love of everyday items that combine function with simple beautiful design. Opened in 2006 by stylist Jane Bird, Birdkids is a vibrant shop with an ever evolving selection of clothes, toys and gifts, mostly for children but with plenty to tempt the grown-ups too. The look is contemporary, colourful and refreshing, a lively mix of products with an emphasis on beautiful design and great quality. Much of the stock is sourced from companies that employ good ethical standards and organic materials. 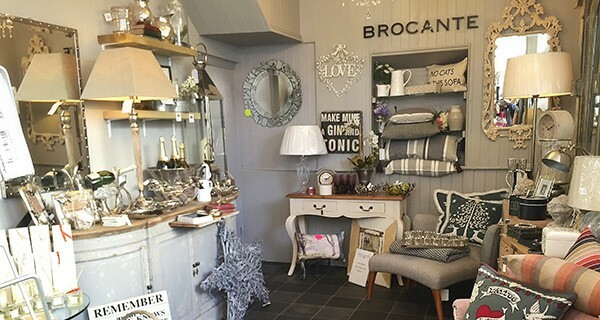 Brocante (above) is a treasure trove of vintage inspired furniture, gifts, home interiors and accessories, with a few carefully selected modern pieces to complement their range. 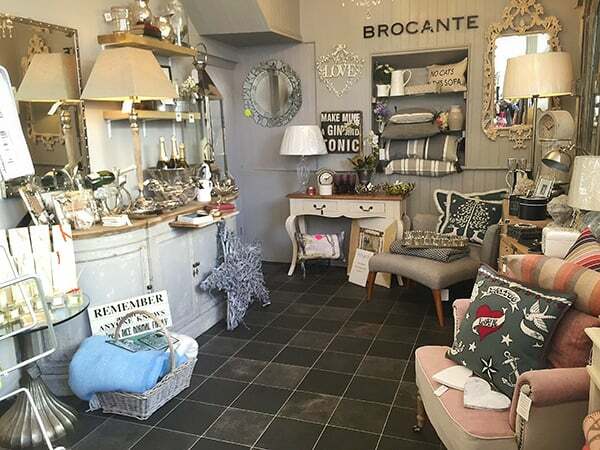 Brocante, found in both Fowey and Mevagissey, is owned by Keiron Cockley and his partner. Inspired by Kieron’s attention to detail and style, we recently collaborated with him on the refurbishment of our hotel. A visit to The Romantic Englishwoman is like stepping back in time. The charming shop is filled with lace, quilts and vintage style home accessories. In contrast to many of the coastal themed shops in Fowey, The Romantic Englishwoman takes inspiration from Cornwall’s rolling countryside. It’s hard not to want to get hands-on in White Doll Arts (above) as much of their pottery is made in their adjoining workshop. As well as stocking modern, handmade English pottery, the shop offers a collection of textiles, jewellery, painting and greeting cards. They also offer a bespoke pottery service. Quba’s Fowey shop stocks a range of their signature nautical-inspired clothing and accessories for both men and women, as well as home furnishings. Founded in 1996 in Salcombe, Quba Sails specialises in jackets created from reclaimed canvas sailcloth. We have recently worked with Quba to develop a range of items for our uniforms here at The Old Quay House. Their signature coastal style is an excellent fit for our style here at the hotel. 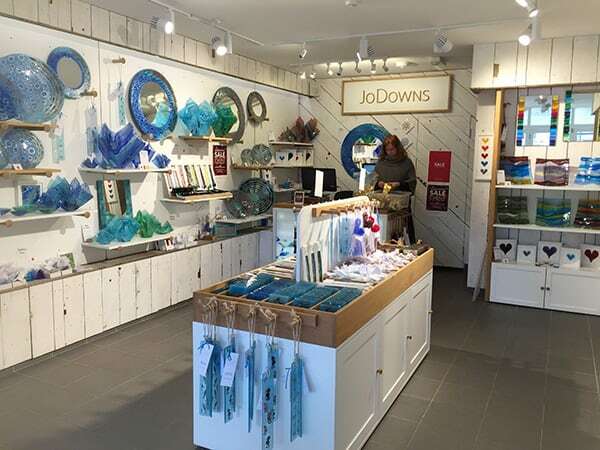 Fused glass designer Jo Downs draws inspiration from Cornwall’s coastal landscape. Working from her Cornwall studio, Jo creates interesting abstract designs in glass, renowned both locally and worldwide. 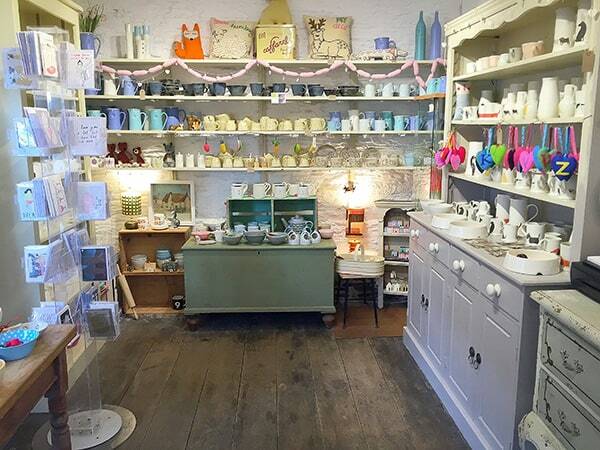 Visitors to Jo’s Fowey shop (above) will find a selection from her popular range of handmade giftware and statement interior pieces such as wall panels and art frames. Seasalt began in 1981 with a single clothing shop in Penzance. Their first customers included sailors, farmers and fishermen plus a few of the St Ives artists. Seasalt’s clothes combine a utilitarian style with comfortable and beautiful fabrics, inspired by all the elements of Cornwall they love. Today Seasalt is one of Cornwall’s biggest employers with shops nationwide. They have also attracted a celebrity following, working with names such as Dame Judi Dench, Fern Britton and Alex Polizzi on bespoke designs for their charity jute bags. A visit to The Clementine (above) provides a really interesting mix of gifts by local suppliers and Scandinavian homewares. In fact there are many brands stocked in The Clementine that are hard to come by in the South West, such as Broste and lighting designers Vita. It’s advisable to dedicate a good deal of time for browsing, ensuring no stone is left unturned in the large shop. 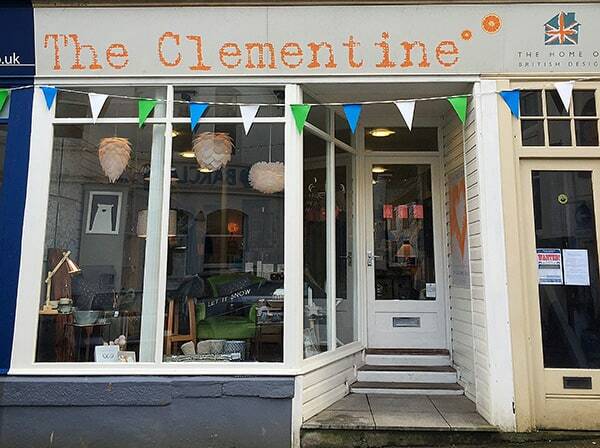 You will also find The Clementine located in Truro.